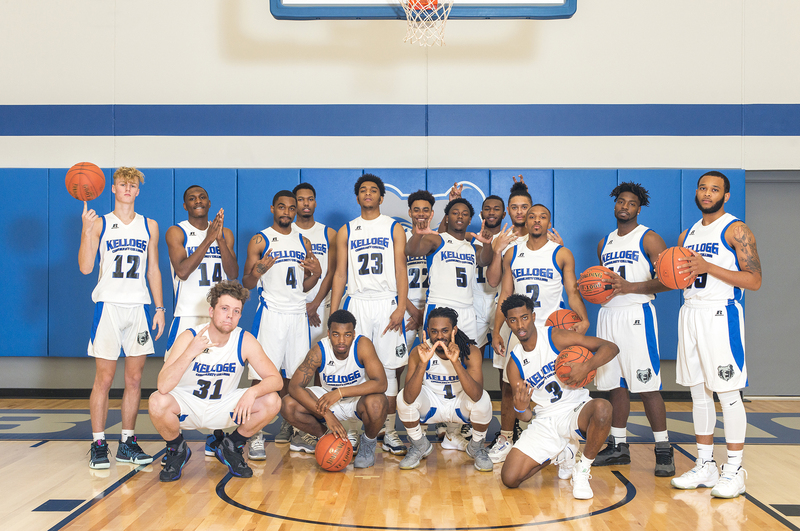 The Kellogg Community College men’s basketball team earned a 95-78 victory over conference opponent Lake Michigan College Wednesday in Benton Harbor. Leading the Bruins on the court were sophomore Davian Phillips, who had 25 points; sophomore Tishaun Cooper, who had 24 points and 9 rebounds; freshman Dom Gibson, who had 13 points; freshman Wyatt Heal, who had 13 points; sophomore Omar Tabb Jr., who had 6 assists; and freshman Zarrion Davis, who was the defensive standout. The recent win brings the Bruins’ overall record for the season so far to 9-10; the team’s conference record is 4-6. The Bruins’ next home game starts at 3 p.m. Saturday, Feb. 9, against conference opponent Ancilla College in the Miller gym.